The iPad is not a good passport replacement, usually. In the wake of September 11, border security in the United States was tightened (at least on the Canadian side) and rules were changed. No longer could Canadians cross the border freely without a passport; they now had to have a passport to get back and forth to the US. Montreal man Martin Reisch, having driven two hours to the US border, wasn’t about to turn back when he realized he had forgotten his border papers. 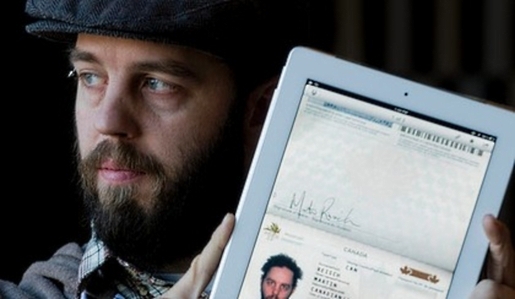 Instead, Martin Reisch used his iPad and a scanned photo of his passport to cross into the US. Reisch wisely had scanned his passport years ago, just in case he lost it while traveling. The border guard, meanwhile, made an exception for Reisch, so I wouldn’t recommend trying to use a scanned passport crossing from the US into England, or vice versa, as you may get a tougher border guard. There’s only a matter of time before someone using a forged passport or wearing a terrible disguise tries the same trick to get into the US, so don’t expect this to last.